Junior wide receiver Shaedon Meadors. 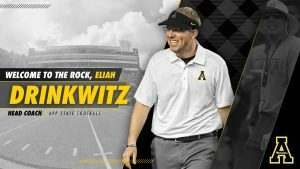 App State football returned home to The Rock this weekend to defeat the Idaho Vandals (4-4, 2-2 Sun Belt) 37-19 in their annual Homecoming matchup moving to 40-13-2 on Homecoming weekend. Coming off their best performance of the season last week, a 24-0 routing of UL Lafayette, the first time the Ragin’ Cajuns have been shutout since 2002, App State (5-2, 3-0 Sun Belt) put on another strong defensive performance moving to 22-4 in their last 26 games and 16-1 in their last 17 Sun Belt games. 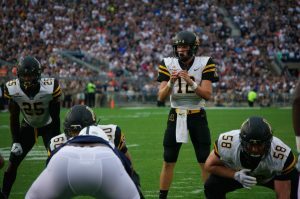 A defensive battle for the third week in a row, the Mountaineers allowed only 19 points including a meaningless fourth quarter touchdown from Idaho. Getting on the board first after a 25-yard run from freshman Darrynton Evans, junior quarterback Taylor Lamb punched in the score with a two-yard rushing touchdown. Freshman cornerback Clifton Duck had the biggest plays of the game recording his third and fourth interceptions of the season, including his first career pick-six. Taking a 20-6 lead, the play was a big moment for Duck. 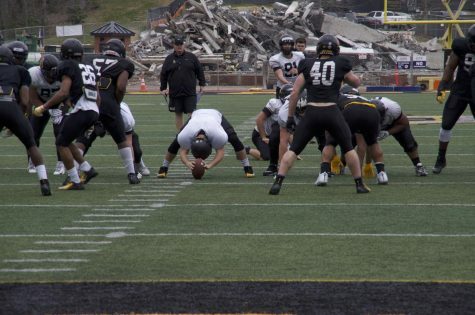 Starting slow on the offensive side in the first half, with 169 yards of offense and 10 points scored, the game was dominated by kicking, with seven field goals between both teams. 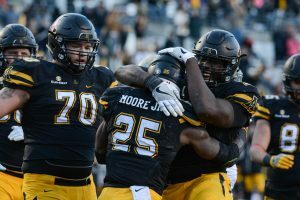 Despite going six-for-six in the red zone, App struggled to score touchdowns, settling for field goals on three occasions after promising drives stalled out. 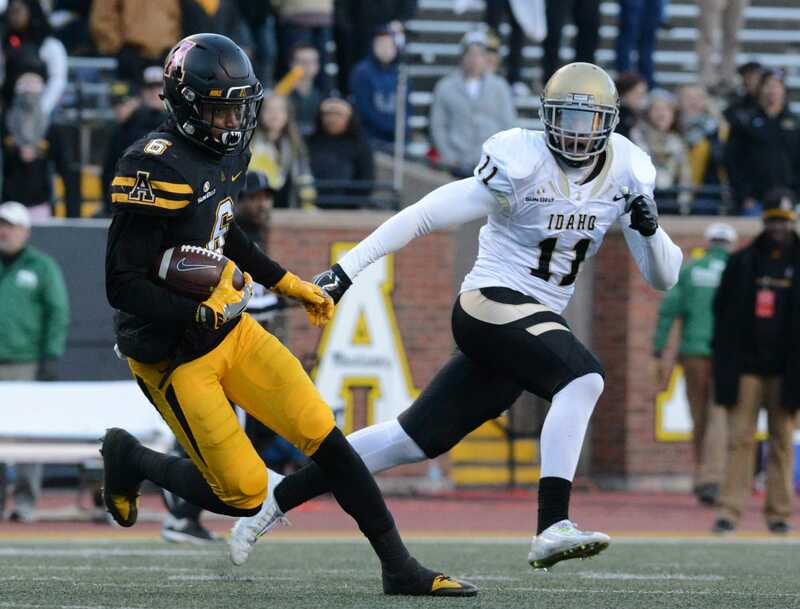 Two of App State’s three offensive touchdowns came after the game had effectively been decided. Freshman offensive line Victor Johnson and junior offensive line Colby Gossett meet Sophomore running back Jalin Moore in the end zone after Moore’s touchdown. 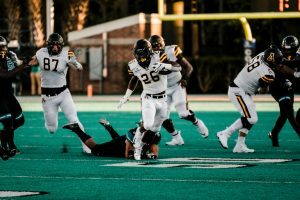 The Mountaineers heated up during the second half with Lamb completing three long passes to senior wide receiver Shaedon Meadors in a succession to open play. 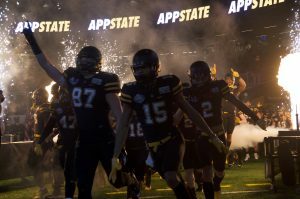 App State recorded 113 yards of offense in the third quarter alone on an eight-for-eight for 127 yards line from Lamb after having only 85 passing yards in the first half. Meadors lead the team in receiving with a career-high seven receptions for 106 yards. Junior college transfer Zy Letman also stood out with five receptions for 68 yards, including a 30-yard catch in traffic near the goal line. “If they were doubling Shaedon [Meadors] we knew that we had guys on the back side that could go and get the ball,” Lamb said. 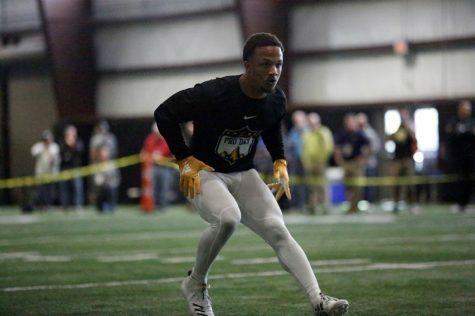 “We have guys like Mock [Adams] and Zy [Letman] who have big bodies and know how to use them. 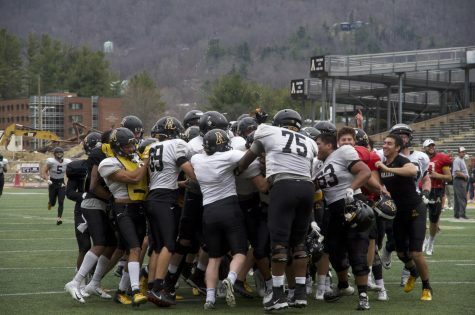 Having a comforting lead, backup sophomore quarterback J.P. Caruso saw playing time late in the fourth quarter, completing both of his passes, including an 18-yard touchdown pass to Dante Jones, the third of his career to seal the win. 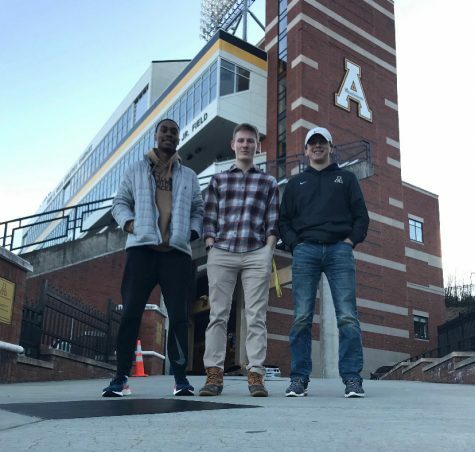 Capping off an all-around win even with senior linebacker John Law and running back Marcus Cox not playing, App State pushed their winning streak to fives game with a short week before their next game. 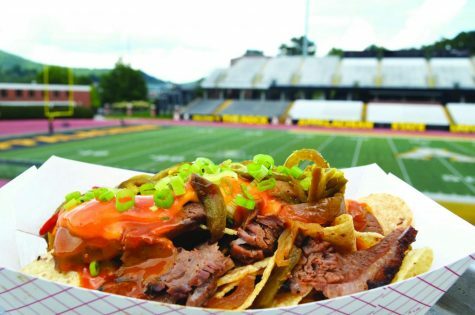 App State will travel to Statesboro, Georgia to face long-time rival Georgia Southern on Thursday night at 7:30 p.m.